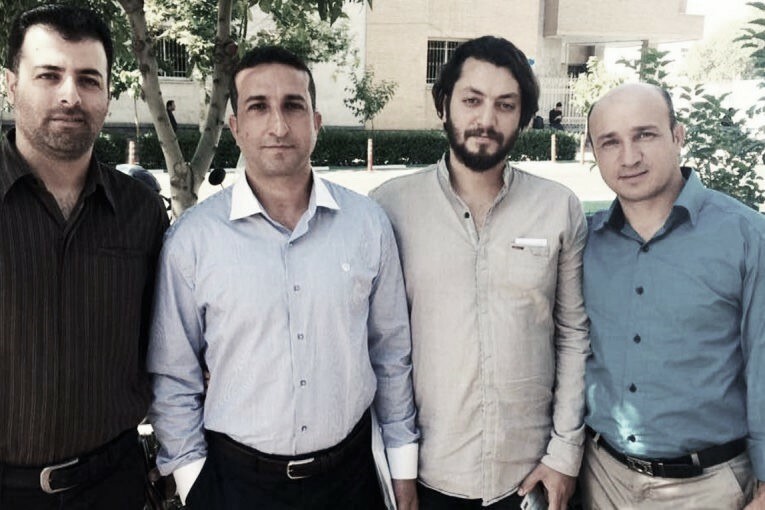 From left: Saheb Fadaie, Youcef Nadarkhani, Yasser Mossayebzadeh and Mohammad Reza Omidi. The four Iranian Christians who saw their ten-year prison sentences upheld by an appeal court earlier this month are expecting to have to report to prison any day now. Pastor Youcef Nadarkhani, and fellow Church of Iran members Yasser Mossayebzadeh, Saheb Fadaie and Mohammad Reza Omidi could receive a call within the next 24 hours to report at the prison gate in their home city of Rasht, Mansour Borji from the London-based advocacy organisation Article 18 told World Watch Monitor. The four Christians were convicted of “promoting Zionist Christianity” and running house churches, and appealed their sentences before the Revolutionary Court on 14 December last year but were unsuccessful. Nadarkhani and Omidi, in addition to their jail terms, were also sentenced to two years’ internal exile, which they are to serve in the south of Iran, on the opposite side of the country from their homes near the Caspian Sea. Four other Christians who also received lengthy sentences are still awaiting the outcome of their own appeals, which were heard in the Revolutionary Court by the same judge, Judge Hassan Babaee, who, according to Article 18, “doesn’t have a good track record in dealing with Christians arrested for their Christian activities”. Borji said this is partly because judges can’t be independent, as sentences are dictated by intelligence officials. “We are following the appeal process closely and ask all Christians worldwide, and the key members of the international community, to join us in calling for these convictions to be overturned. The Iranian government has to be reminded of its obligations under international law and its own constitution, to end its harassment of the peaceful Christian community,” he added. Pastor Bet-Tamraz was sentenced to ten years in jail in July last year for “acting against national security by organising and conducting house-churches”. The three converts were also given ten years, though Amin Afshar-Naderi was given an additional five years for “insulting the sacred” (blasphemy). Shamiram Isavi Khabizeh, the wife of Victor Bet-Tamraz, was given a five-year sentence of her own in January, while their son, Ramil, is also facing charges. Miles Windsor from Middle East Concern recently said prison terms are getting longer for Iranian Christians. “Whilst Christians have consistently been put in prison for their faith in Iran, in considerable numbers, the length of the sentences has seemed to have increased in the last year or so,” he said. Although Iran’s constitution acknowledges Christians (excluding converts from Islam) as one of the recognised religious minorities allowed to operate in the country “within the limits of the law”, in practice the government continues to harass and imprison Christians and other religious minorities, noted the US State Department’s 2017 International Religious freedom report, released last month. It is illegal for Muslim citizens of the Islamic republic to change or renounce their religious beliefs. The country has been on the State Department’s list of Countries of Particular Concern (CPC) since 1999, “for having engaged in, or tolerated, systematic, ongoing, and egregious violations of religious freedom”. In 2017, over a dozen Christians – most of them converts to Christianity – were given prison sentences of between 10 and 15 years for “acting against national security”. Iran is 10th on the 2018 Open Doors World Watch List of the 50 countries where it is most difficult to live as a Christian.